Like much of the Northwest Georgia area, Ringgold history is rooted in the Civil War. Though similar in size to Chattanooga, the area’s population density is much lower than the metro area and surrounding suburbs---although not nearly as sparse as most of Walker County. Despite being set back by tornadoes in 2011, the area still remains a popular suburb with desirable school districts that stay on the top of many home buyer's favored areas. Ringgold is named after Major Samuel Ringgold, an officer who died in the Mexican-American War. The city is home to the Ringgold Depot, a structure built in 1849 that saw significant Civil War fighting. The historic district also includes a Civil War monument to the New York Brigade. The city center is also a popular wedding venue, and is home to the Ringgold Wedding Chapel. George Jones and Tammy Wynette married at the chapel, and Dolly Parton secretly married her husband in the city to stay out of Tennessee newspapers. Even though the area is located in Georgia, it is considered a popular suburb of Chattanooga, with many families choosing to commute either to the city limits or to the neighboring Dalton area. 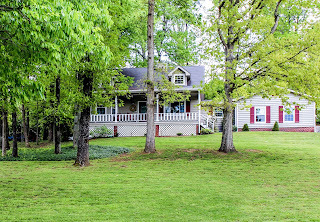 Ringgold is a great location for home buyers seeking a private country setting with a lower commute time. Also, many of the homes on the market are in close proximity to everyday shopping and other amenities near Battlefield Parkway and I75. The area offers a wide variety of homes, ranging from higher end golf course communities closer to Ooltewah and the East Brainerd area of Chattanooga, and older more established neighborhoods closer to the city limits. The city center of Ringgold contains a notable historic district, which is becoming an economic hotspot and picturesque setting for regional tourism. The downtown area contains buildings constructed from the 1850's to the early 1900's, and is undergoing a main street revival focused on small business owners. However, this is not limited to Ringgold-similar downtown revitalization can be found in Chickamauga and Lafayette. The city also hosts a local farmers market and a variety of family friendly outdoor activities. The area contains a variety of parks, nature trails and recreational facilities. Elsie A. Holmes Nature Park offers hiking trails, picnic areas, and fishing. Richard Taylor Nature Trail offers two hiking trails along the South Chickamauga Creek. Houston Valley Nature area is another point of interest for more avid outdoor enthusiasts, and is part of the Chattahoochee National Forest. Another popular venue is the Ringgold Creek Walk. Aside from nature trails, the area has plenty of recreational facilities for sports fans and ball players. The Ringgold Youth Sports Association offers ball teams and is located near Poplar Springs Road. Jack Mattox Recreational Complex hosts many popular annual events, and contains ball fields, soccer fields, walking tracks, and a new canoe and kayak launch along the South Chickamauga Creek. Martha Denton Pool offers season passes, party rentals, and swimming lessons. Other points of interest include Boyd's Speedway, a drag strip and motor-cross facility that offers practice courses. The Ringgold area is very diverse in terms of available housing. The northeast end is bordered by the Tennessee state line to the north, the city of Cohutta to the east, and ends at the West Chickamauga Creek. Just outside the city limitis is the older McNew hicks subdivision, with many homes offering a gorgeous view of White Oak Mountain. This area is accessible to Chattanooga via Ooltewah Ringgold Rd and Graysville Rd. Higher end subdivisions are located here, including Council Fire and Windstone golf course communities that are minutes from the state line. Other pockets of newer construction homes include Pleasant Valley, with smaller homes available in Hurricane Heights off Swanson Rd leading into Graysville. 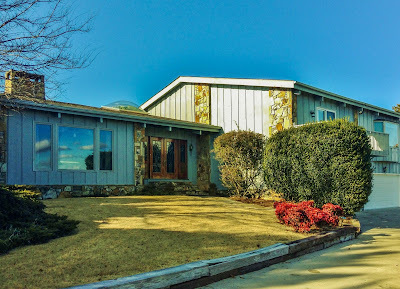 The area between Graysville and Cohutta contains homes that are accessible via Keith Rd, and are in a much more rural setting that skirts the city leading to Catoosa Springs and the Stone Church area near Tiger Creek Elementary School. Condra Heights is a notable subdivision in this area. 1903 Clearview Drive offers a wonderful view of White Oak Mountain, and is perfect for any fan of the midcentury modern architectural style. Indian Springs is another popular area, which offers older more established neighborhoods with plenty of mid-century ranch style homes. However, pockets of newer construction subdivisions with more modern floor plans are popping up on the fringes of this area, particularly off Haggard Rd. The area remains popular because it's easily accessible to East Ridge, shopping, and amenities in East Brainerd. And if you want to stay in Georgia, all you have to do is take Three Notch Road for a quick drive to amenities on Battlefield Parkway. The area is bordered by Graysville Rd and South Chickamauga Creek to the North, and bordered to the South by Peavine Creek. Southwest of Indian Springs off Pine Grove Rd contains a higher end subdivision called The Pointe, which offers newer construction homes with a scenic view. In this area, you can also find older more established neighborhoods, including Cinderella Hills, Blevins Acres, and Dailey Hills. Other popular subdivisions closer to Battlefield Parkway include Denmoore Estates, White Oak Plantation, Hidden Trace, Hickory Hills, and 100 Year Oaks. The Blue Springs community and neighborhoods off Boynton Road are a great for starter homes, with an excellent elementary school and a variety of decently priced moderate income neighborhoods. 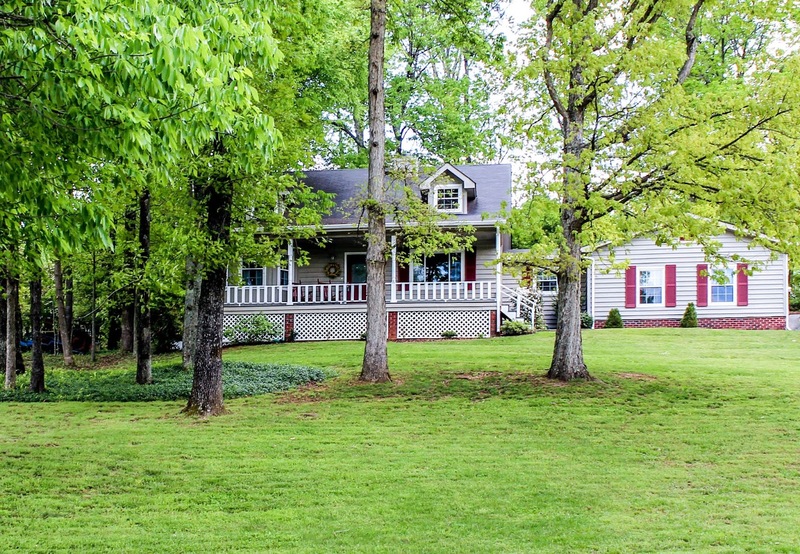 For those desiring a more rural setting, the area bordered by Alabama Highway and Mount Pisgah Rd is a great option for home buyers wanting more open space, acreage, and options for livestock. Larger estate homes dot this community, with plenty of land and much more private settings. The area is bordered to the west by Beaumont Rd, and leads into Walker County. Modestly priced homes can be found in this area. Higher end subdivisions in this area include Heritage Estates, a large established neighborhood with a variety of custom built homes offering more square footage.